Senthil Nathan is a Consultant Urological Surgeon and Honorary Senior Clinical Lecturer at University College Hospital London. After graduating MBBS with honours from The Madras Medical College, Senthil completed his Masters in Surgery from Bangalore Medical College where he won The Association of Surgeons of India Gold Medal for securing the highest mark in the surgical exit exam. While working as an Assistant Surgeon in The Church of South India Hospital in Bangalore he was one among the first candidates to be selected by the Royal College of Surgeons of England to continue specialist training in the Overseas Training Scheme. After working in general surgery and obtaining FRCS in Yorkshire he chose to be a Urologist and obtained Diploma in Urology while working at Royal Free Hospital. 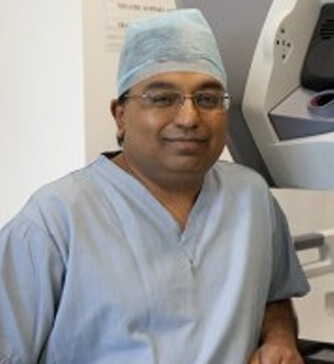 He secured an Honorary Lecturer position at Guys Hospital to develop robotic techniques in urology. Along with Mr John Wickham and colleagues from The Imperial College he developed The Probot, and carried out the first true robotic surgery in the world. Senthil is a Trustee of the SNJ Educational & Charitable Trust; Managing Trustee of the SNJ Education Fund; President of the Government Aided Secondary School, Venkatachalapuram, India; Honorary Advisor to the N Sethia Foundation and Trustee of the Prostate Cancer Research Foundation (Former). He is a member of the British Association of Urological Surgeons; The Royal Society of Medicine; British Medical Association; European Association of Urologists; Convocation, University of London and the Society of Minimally Invasive Therapy.